In this tutorial we are discussed about how to root Acer E350, otherwise known as the Liquid Gallant device. And also we have discussed about how to install a custom CWM-based recovery as well as simple tweaked stock ROM to be flashed from your shiny new recovery. This ROM includes some enhancements such as Google Now, init.d support, and a less bloated/system partition among others. Full credits will goes to the XDA forum member jaapstreepjan who has come up with this work. Before start to proceed, please make a note that your warranty of your device will get void, the alarm app may failed and that leads to damage your device. So, use this procedure at your own risk and strictly follow the given below pre-requisites. We strongly advice you to take backup of all your internal data with the help of backup applications before start to proceed. DISCLAIMER : We should not be held responsible/liable if anything happens wrongly in your device. First, download and install the required drivers from Acer. For that, plug your phone in your PC and windows will ask for drivers, then install the drivers you have just downloaded. Once you installed the drivers,reboot your PC. After that download and extract the required rooting files. After that connect your Acer phone to your PC via the USB cable. Run the “Runme.bat”, choose the normal mode and follow the instructions. NOTE : You won’t lose any data when you click the restore option on your phone, during the root process. But anyway take backup of your datas for safer side. Once you run the above mentioned command and followed the instructions your device will reboot. That’s it after that your Acer E350 will be fully rooted. Enjoy! First, download the CWM pack from here. Unzip the zip file in your desktop. Connect your Gallant Duo to your PC with the help of USB cable. Just make sure whether you installed the appropriate drivers properly. Launch flashtool.exe in the Flashtool folder. 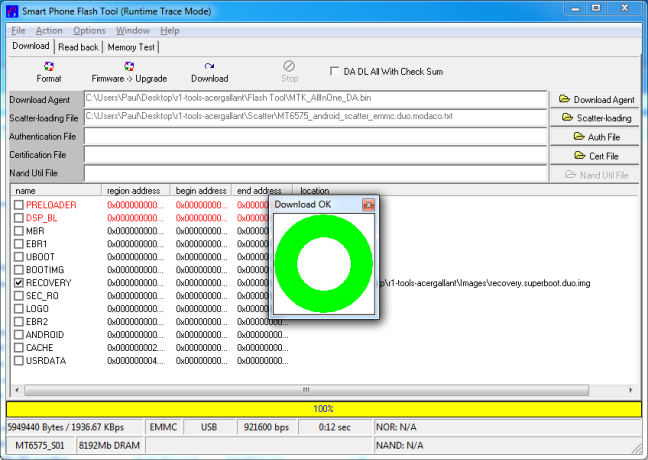 There you will see the first line of the program flash tools “Download agent” automatically compiled. Disconnect the USB cable from your phone and let it without a battery. Click on Scatter-loading and then select the text file in the scatter folder. Now you are ready to flash the CWM recovery! First, hit the download button, then connect your device (still without a battery). Now, wait until it says OK and you will see a green circle. Now, you can put in the battery and disconnect the device. 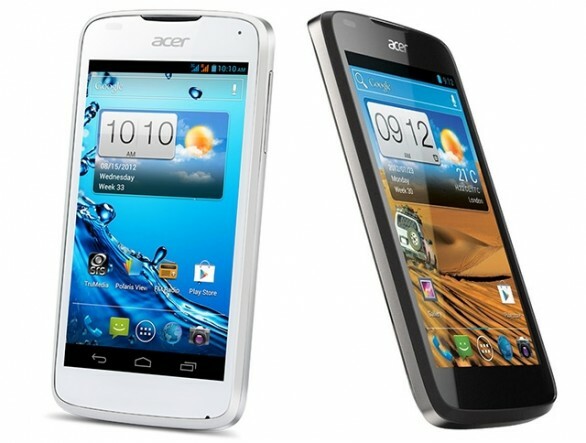 To boot in the recovery, just hold the Volume Up Button and the power button until you see the acer logo. Just download the ROM from here.